Most kidney stones are made of calcium and oxalate. They form when your urine has too much calcium and oxalate, and not enough fluid. Oxalate is a naturally occurring substance that comes from many plants. It is also made in the body. Your urine is affected by what you eat and drink. If you've had kidney stones before, following the tips below will reduce your risk of getting them again. 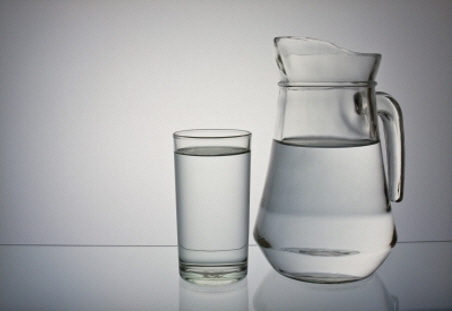 Drink at least 10 to 12 cups of fluid each day. Water is best. Milk, low-sugar drinks, tea and coffee are also suitable. Read Are you drinking enough? for tips about making sure you get enough fluid. It may help to have 100 ml (about ½ cup) of lemon or lime juice each day. These juices are high in citric acid. This makes your urine less likely to form stones. You can add the juice to water (plain or sparkling) or freeze it in ice cube trays. Add the frozen cubes to your favourite drink. Avoid cola drinks, tomato, grapefruit and cranberry juices. They increase your risk of forming stones. Salt increases the amount of calcium in your urine. This can cause stones. About 75% of the salt we eat comes from processed and packaged foods. Look for foods labelled as salt-reduced, no added salt or low sodium. You can also check food labels for sodium content. Read the nutrition information panel on food packets and choose food with less than 120 mg of sodium per 100 g of food. Use herbs, spices and other seasonings instead of salt in cooking and at the table. Eat fresh foods such as fruit, vegetables, eggs, meat, fish, unsalted nuts and milk. They generally have much less salt than processed foods. See How to reduce your salt intake for more information about what foods are high in salt and more tips to reduce the amount of salt you eat. Some people believe having too much calcium causes stones. Some types of calcium supplements may cause stones. But there's no proof that calcium-rich foods do. In fact, if you don't eat enough calcium-rich foods you are more likely to form stones. Milk and milk products such as cheese, and yoghurt are the best sources of calcium. See How to get your daily calcium for information about how much milk and milk products you should eat, and about other good sources of calcium. Too much animal protein, such as meat, chicken, fish and eggs, will make your urine more acidic and more likely to form stones. Limit the amount you eat to one to two servings each day. A serving is piece of meat, chicken or fish the size and thickness of the palm of your hand, or one egg. Plant proteins such as legumes (dried beans, peas and lentils), tofu, nuts and seeds do not make your urine acidic. Have meatless meals made from legumes or tofu more often. See the Healthy Food Guide for a selection of nutritious and tasty recipes and meal ideas. Large amounts of vitamin C can increase the amount of oxalate in your urine. If you want to take a vitamin C supplement, take less than 1000 mg per day. The amount of vitamin C in foods is not enough to be a problem. In the past, people with kidney stones were told to avoid oxalate-rich foods. We thought these foods increased the amount of oxalate in urine causing stones. But, we now know most oxalate found in urine is made in the body and does not come from what we eat. How much fluid, calcium, sodium and protein you have is more important than how many oxalate-rich foods you eat. If you have very high amounts of oxalate in your urine, you may need to limit some oxalate-rich foods such as spinach, silverbeet and rhubarb. Talk to your doctor about this. Written by HealthInfo clinical advisers. Endorsed by clinical director, Urology, Canterbury DHB. Page created March 2016. European Association of Urology - Guidelines on Urolithiasis. 2015.